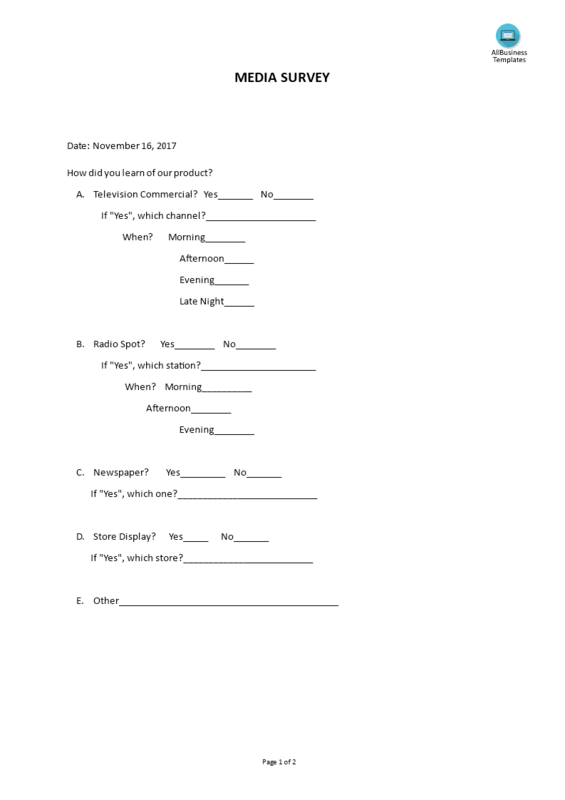 We provide a Media Survey form template that will professionalize your way of communication and helps to research and analyze which media channel is worth investing in. Our marketing and research templates are all in use by professionals. Using this survey is a small investment in the short term, but it guarantees you will save time, cost and efforts on the long term!